Overwatch is one of the most popular multiplayer games today. With the name Doomfist being mentioned many times in the game, there have been quite a few expectations of this character to be the 24th hero. However, it came as a bit of a surprise to fans when director Jeff Kaplan stated in an online forum that 24 was not what the public assumed it to be. This could mean that the much talked about Doomfist may not be the hero number 24, but it does not eliminate the possibility of this DLC character not featuring in the game at all. Interestingly, three heroes with different characteristics share this name. 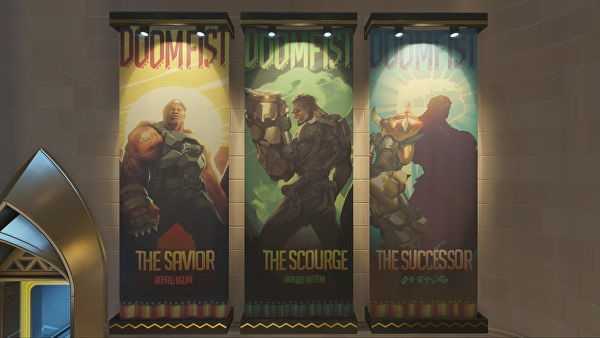 Each of them sports a Doomfist gauntlet that makes its presence in the game on the Numbani map. Most of the fans have expressed that they expect Doomfist to appear as a Tank class hero. There are chances that this is why this is not the game’s choice for its 24th character. Speculations are that the developer is targeting a defense hero to play this role. It is worth noting that new DLC characters have been added to the game in the recent past. They have been well received by players worldwide. Some favorites are the support sniper and Pharah’s mother Ana and the female hacker Sombra. Interestingly, there were strong hints that Sombra will appear as the first post-release character. However, it took quite a long time for the hacker to make her presence. By this time, Ana had already become a very strong defensive force. Kaplan went on to stress on the fact that there are more characters coming up along with various event-related content and events. Although the new heroes being released will not feature laugh and sit emotes for a brief period of time, they will eventually display them in the long run. The lack of emotes will not stop new characters from appearing in Overwatch. As new characters are bound to change the balance of the game, the development team at Blizzard has planned to make their introduction into the game quite slowly and steadily.